Looking for another tasty vegetable to serve up to your family? 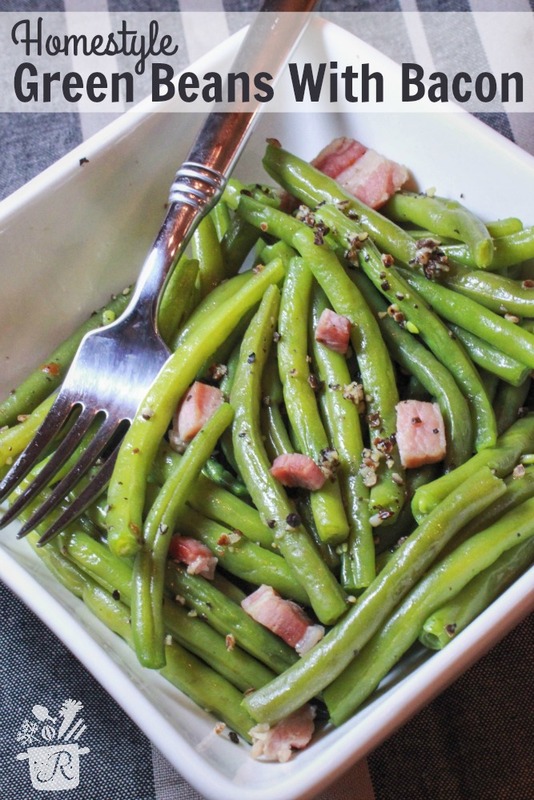 We have a bacon, peppercorn recipe for green beans. 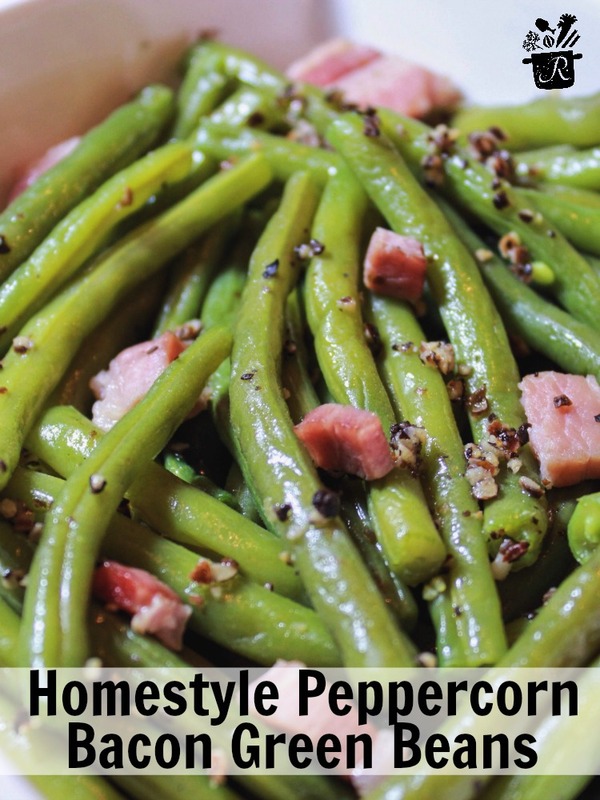 This is a fast and easy recipe you can pull out for a quick weeknight side dish. In a large saucepan, bring water to a rolling boil and add salt, pepper and bacon. 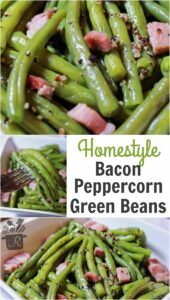 Allow water to boil with seasoning and bacon for 5 minutes before adding green beans. Add trimmed green beans to pot. Allow to boil for 10 minutes or until the green beans are at the desired level of softness. Strain green beans and serve. Do you want to print the recipe to have it at home? You can do that below. This is a great veggie to serve up with other family favorites like Pizza Casserole.